In 1982, legendary Michigan football coach Bo Schembechler asked the Ann Arbor, Mich., FBI office to talk to his team about the perils of illegal sports gambling. The senior resident agent, Tom Love, agreed to make the presentation. Love, knowing I had played college football at Nebraska (read: mostly practiced), asked me to help. We explained that sports gambling is not about who wins but about covering the point spread. That gamblers need to get inside information as an edge to better divine how a team will perform and, the Holy Grail of bookmakers, have a cooperating player or referee with the ability to control the point spread: point shaving. Sports gambling was and is a potential threat to the integrity of sports. The huge amount of money bet illegally in the United States, estimated at more than $300 billion, is an incentive to control the outcome of a game. When I started making presentations, Michigan’s football team was housed in a relatively small, one-story building. Michigan’s transition to the state-of-the-art facilities it has today is emblematic of the change in Division I football in the past 30 years. In those days, college teams such as Michigan might be on TV once or twice a year. Now, a dedicated fan or gambler can watch just about any game played anywhere in the country. With the increase in TV coverage, sports gambling also has increased. And with the advent of the Internet, gamblers have access to more current information and can place bets online. The FBI recognized the need for educating players early on and developed a sports presentation program. I went through the training and attended periodic conferences with representatives from the NFL, MLB, NBA, NHL and NCAA. Over the years, I’ve talked to pro and college teams. (I talked to the Michigan basketball teams several times, including the “Fab Five” teams. That might have been a case of a failure to communicate.) The FBI program still exists, in theory, but priorities have changed, and it is no longer as active as it once was. Schembechler invited us back the next year, and Love asked me to give the presentations on my own. Little did I know that it was to be the “beginning of a beautiful friendship” between Bo and me — one that would have a substantial effect on my career. We worked together on several FBI cases — notably the investigation of Norby Walters and Lloyd Bloom, two notorious sports agents, who bribed and signed about 20 blue-chip college football players while they were still eligible to play college ball. Walters and Bloom postdated the contracts and kept them secret, a clear violation of NCAA rules. Under those rules, once a player signs with an agent, his college eligibility ends. 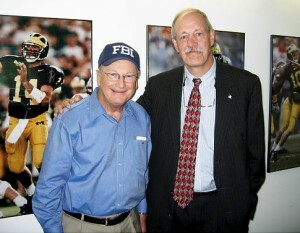 Schembechler would be the “star” witness in the successful federal prosecution of Walters and Bloom. 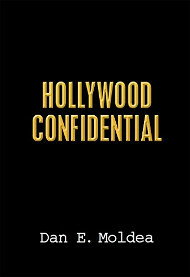 Walters had organized-crime connections, and it was believed that the ultimate goal of signing so many star athletes was to get some of the players involved in point shaving. Schembechler also convinced me to pursue an undercover operation targeting the illegal trafficking of anabolic steroids. That operation, called Equine, was international in scope and resulted in the successful prosecution of more than 70 dealers. We also learned that a number of Major League Baseball players were using steroids. Ironically, I first warned MLB about the steroid problem in 1994 at an FBI sports presentation conference. Although illegal sports gambling continued to be the primary topic over the years, other concerns were discussed, such as drugs, steroids, domestic violence and, more recently, the improvident use of social media. Something I didn’t always do, but learned was important, was to ensure that the head coaches stayed during the presentations, because if the coaches didn’t think it was important to be there, the players wouldn’t, either. Schembechler had a concept of a “Michigan Man,” a student-athlete who not only demonstrated traditional values such as integrity, honor and responsibility on the field, but lived them, as well. After Schembechler retired in 1989, I continued to talk to the Michigan football teams. Later, I was fortunate to become friends with Lloyd Carr during his 13-year tenure as Michigan coach. Carr coached my son when he was a walk-on from 2000-03. Those presentations were special for me: I was not only an FBI agent speaking to Michigan’s football team, but a father seeing his son in a group of men representing a program that I had come to respect. It is Michigan’s 134th football season, and it will be my 32nd year. The topics have changed, but the message stays the same: making good choices based on good values. Posted: 8/19/13 at 9:19 AM under FBI, News Story.